These Tallit are made from diaphanous organza fabric. 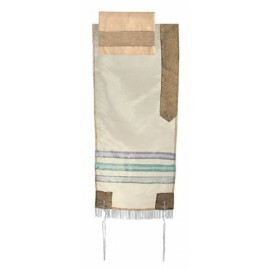 The stripes are made from a separate piece of organza, which is attached to the tallit . The atara (yoke) and corners are made from a high quality jacquard fabric.